Every Monday, Wednesday, Friday and Saturday for beginners at 7:00 pm. Friday and Saturday 7:00 pm beginners lesson following 2 hours practice! Please click here for schedule! Ballroom & Latin Dance Club offers popular social dance lessons for teenagers ages 12 to 18. Girls and Boys are welcome! We teach ballroom dance etiquette and popular Social dances, such as East Coast Swing, Salsa, Tango, Cha-cha, Waltz, etc. No partner is needed. Plus, we will choreograph performances. If you are interested in, please send us a message. Thanks! 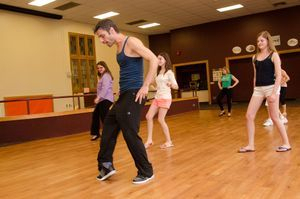 $40.00 monthly card per person, enjoy unlimited evening group dance lessons and weekends dance practice. Click here for details.